From our Dubbo branch, located on Erskine Street, we service and support nearby towns including Wellington, Narromine, Mudgee, Gulgong, Gilgandra, Coonamble, Coonabarabran, Warren, Nyngan and Cobar. Call our Dubbo office or contact our Business Development Specialist below to see how we can improve your business workflow. 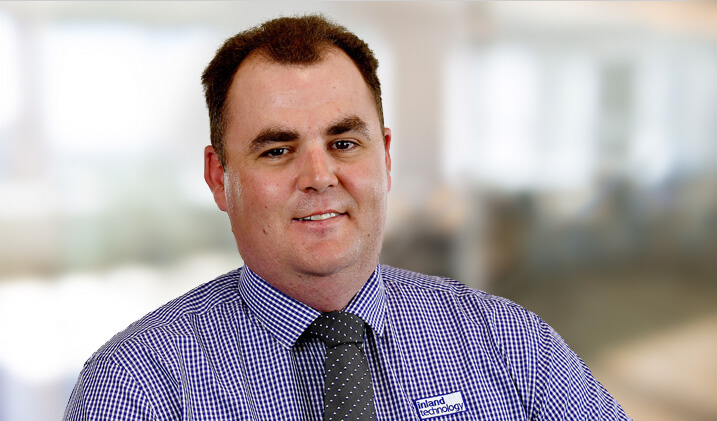 Dane works with clients in the Central West region, including Dubbo, Wellington, Narromine, Mudgee, Gulgong, Gilgandra, Coonamble, Coonabarabran, Warren, Nyngan and Cobar. Based in Dubbo, Dane joined Inland Technology in 2017. Having lived in the Central West for almost 30 years, he is committed to the growth and prosperity of the region. With a background in Customer Service , Accounts and Management, Dane has a hands on understanding of the challenges faced by organisations at all levels. With a keen interest in technology, he is passionate about how technology has and will continue to improve our work and lives in many ways. When not at work Dane enjoys playing golf, playing guitar, watching sport and spending time with his wife and family.